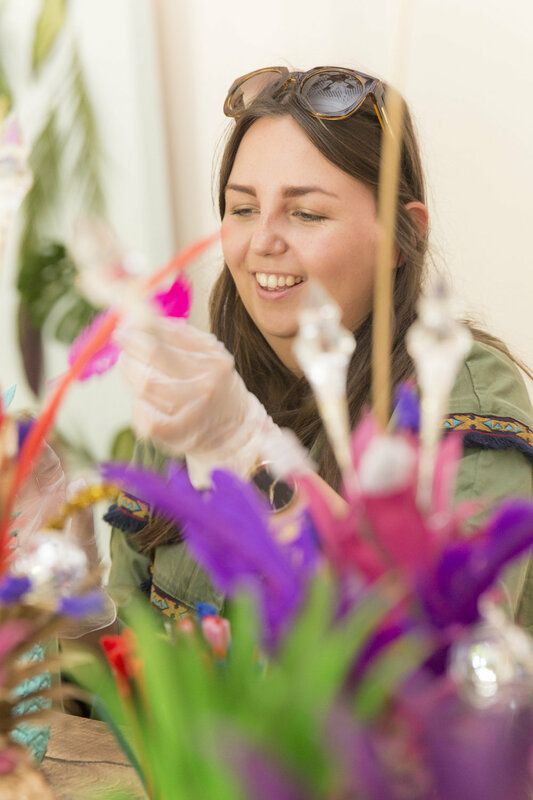 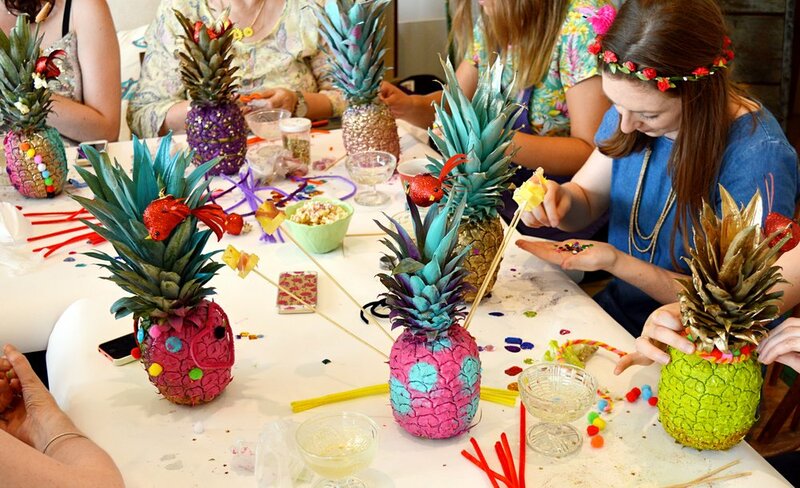 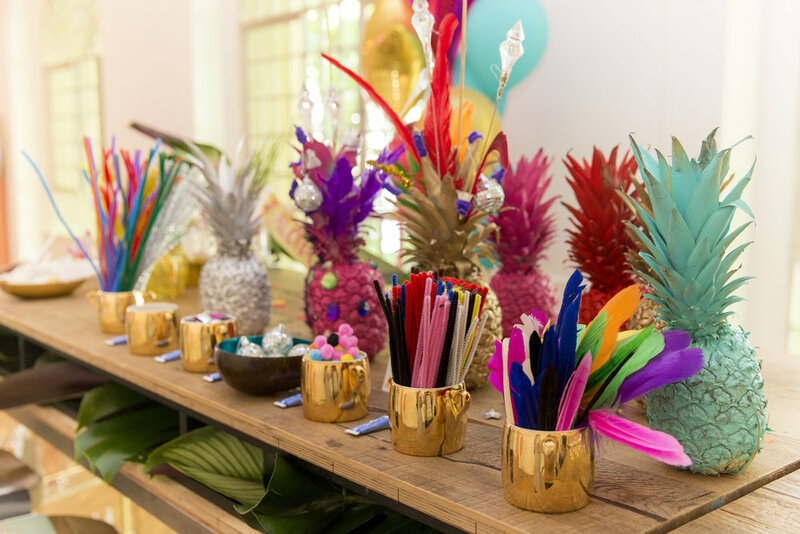 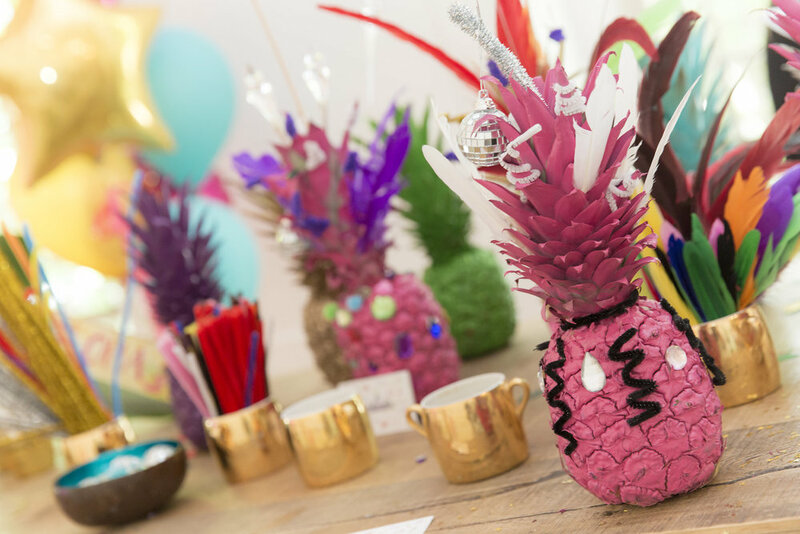 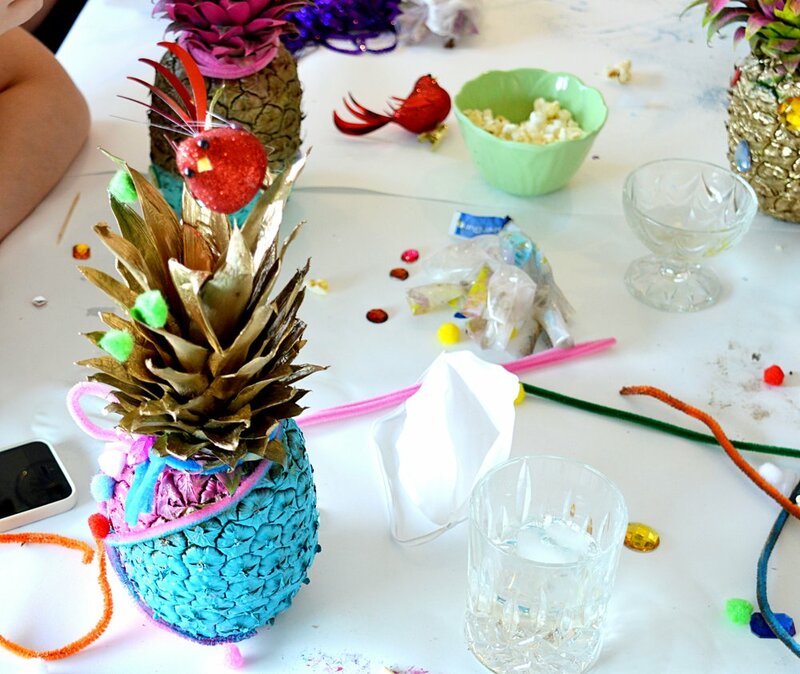 We hosted a 'Pimp my Pineapple' hen party with a table of creative hens who produced an array of beautiful bejewelled pineapples which once spray painted last for up to four weeks. 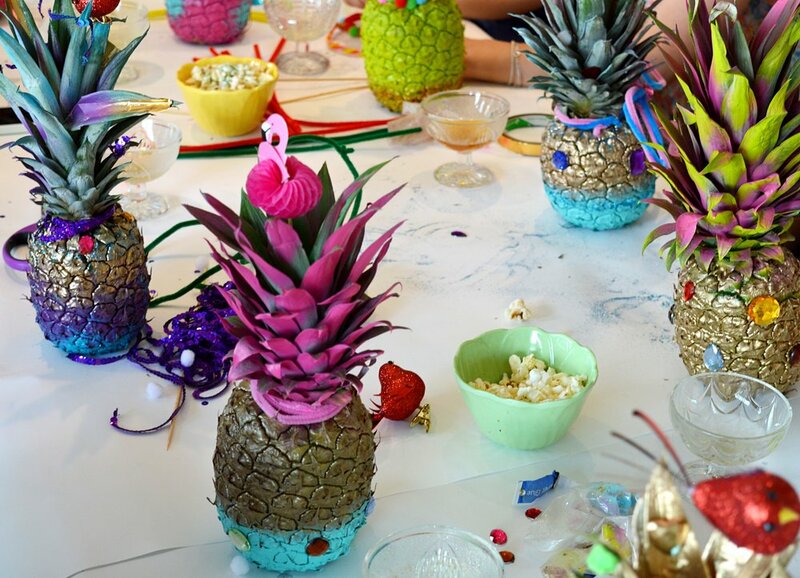 These hens used their pineapples as the table centrepieces at the wedding instead of flowers - genius! 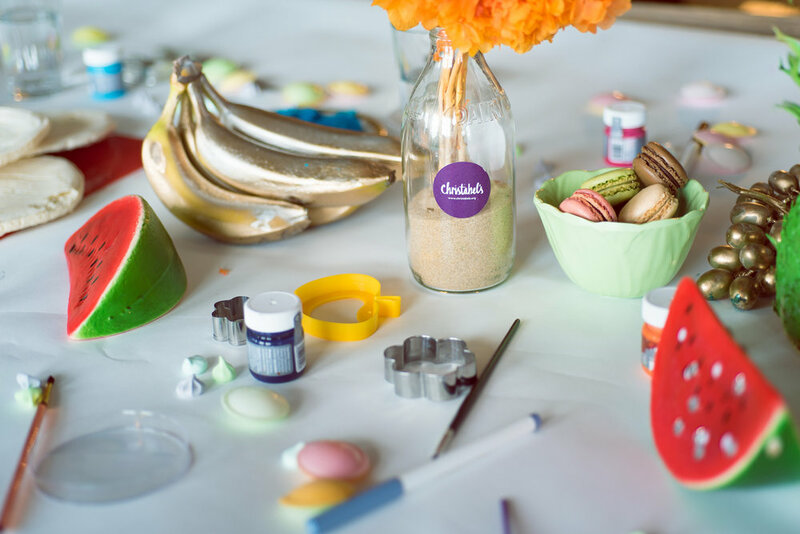 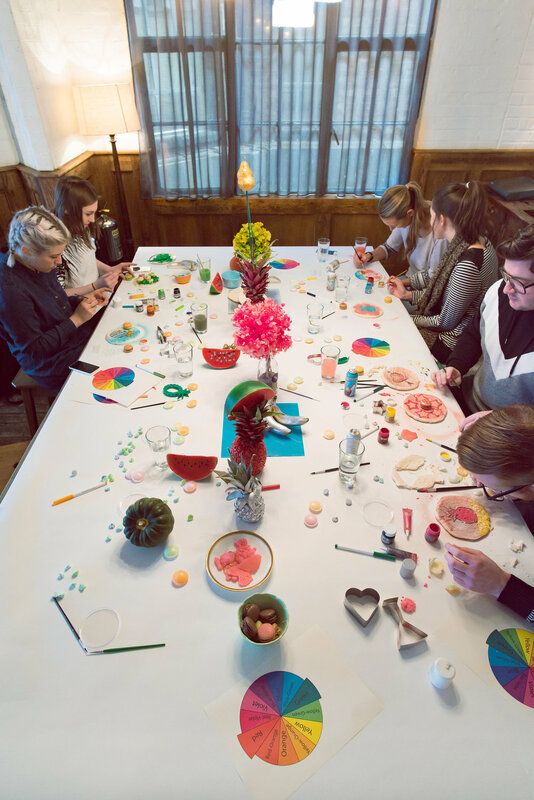 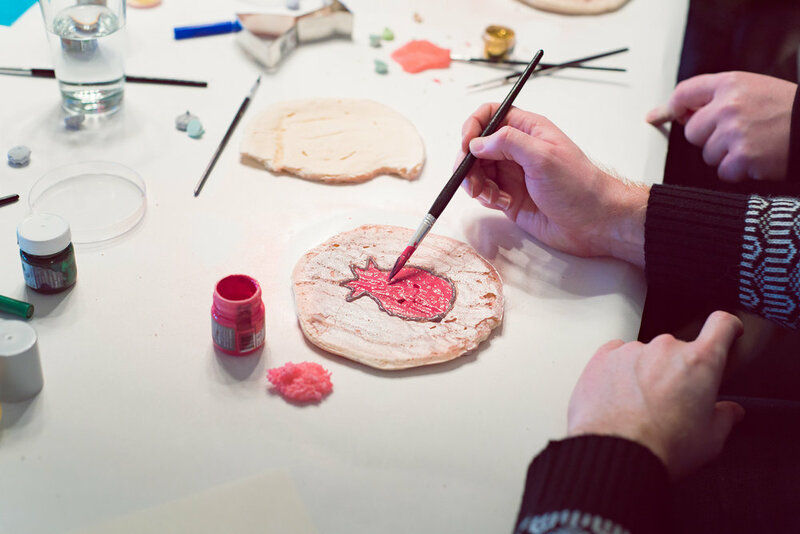 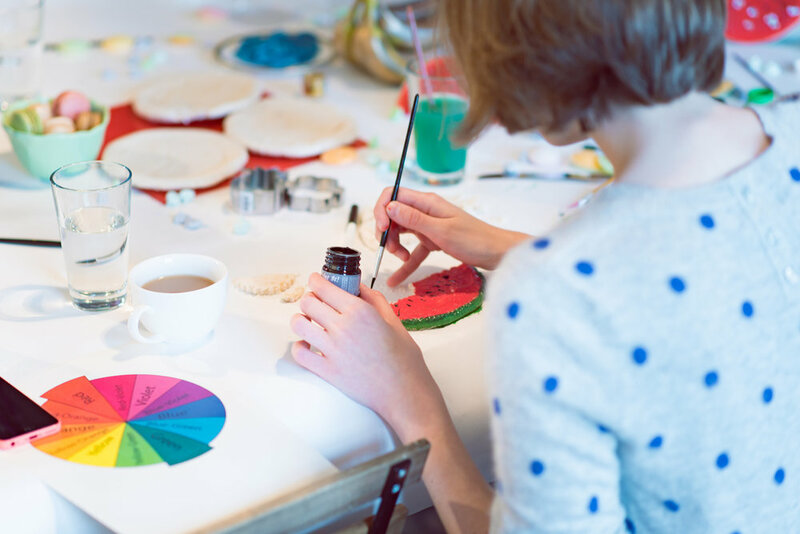 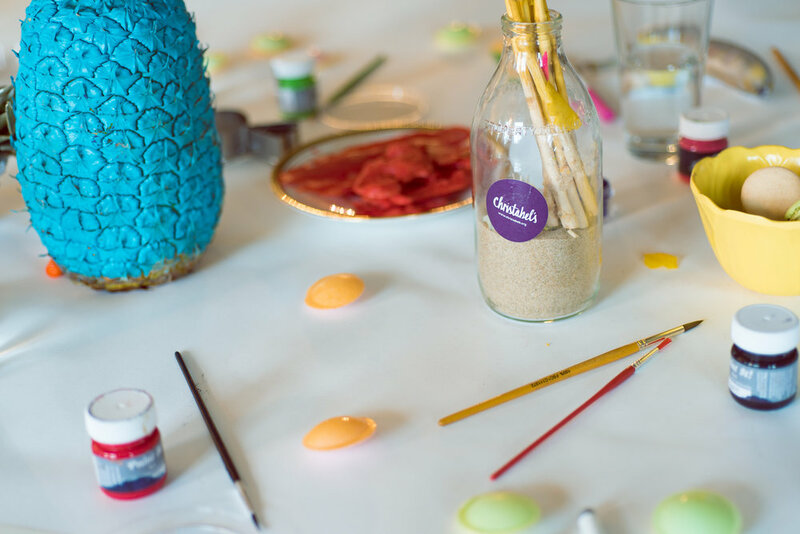 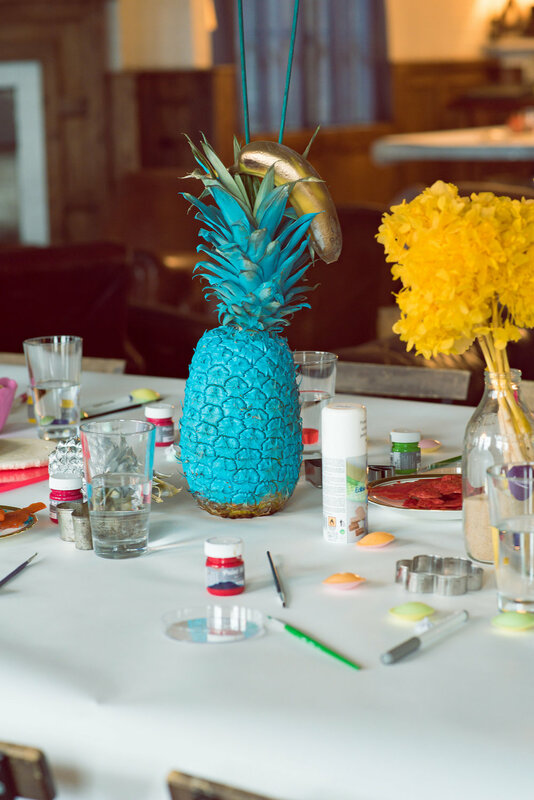 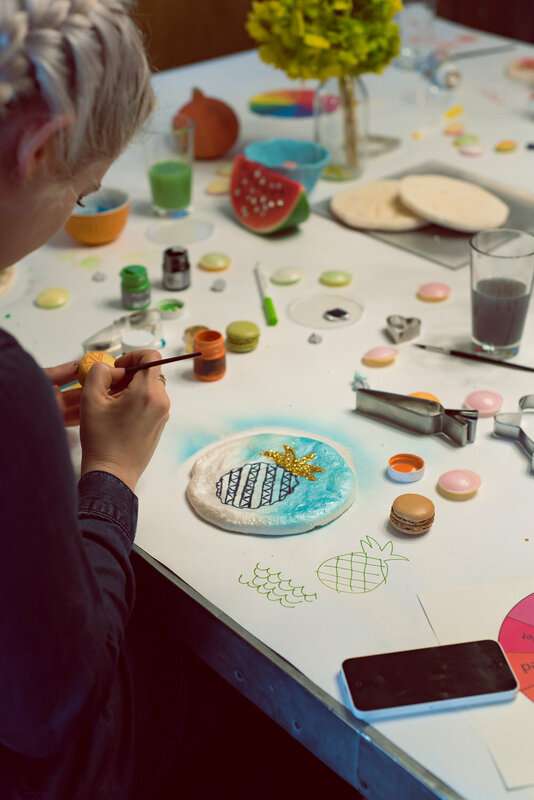 We hosted a Macaroon Art Masterclass at Shoreditch House where an array of vibrant fruit and veg served as inspiration for macaroon masterpieces. 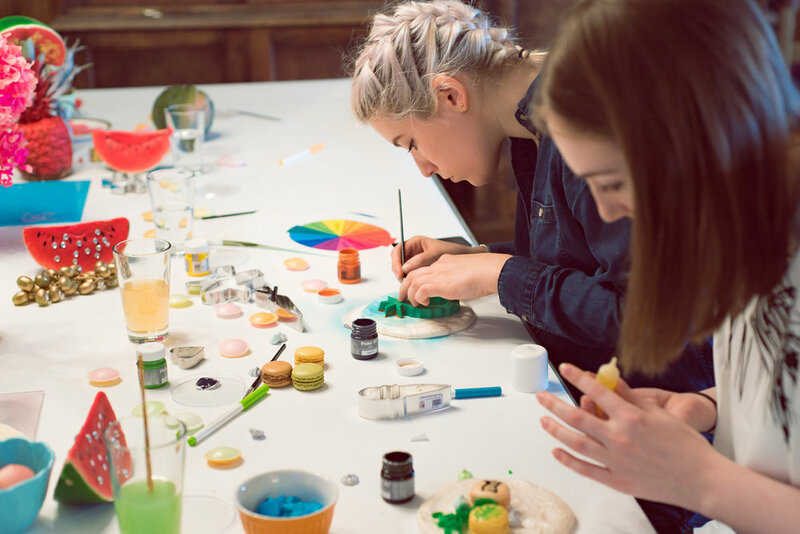 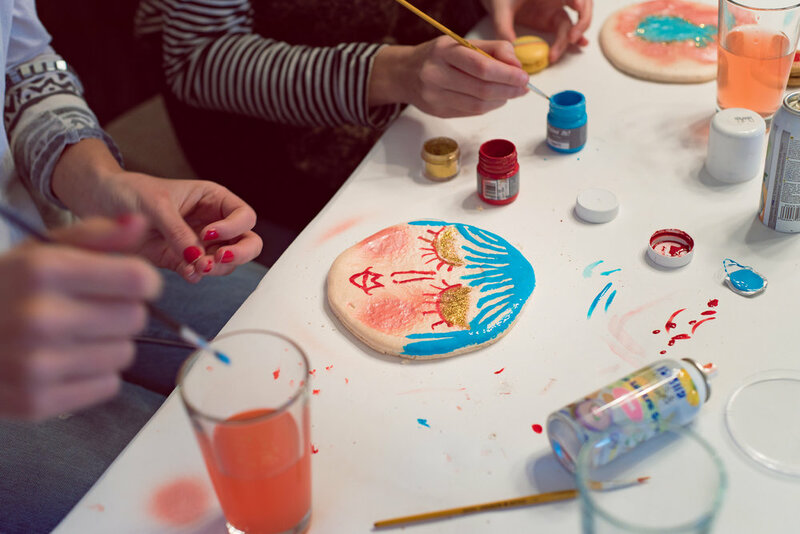 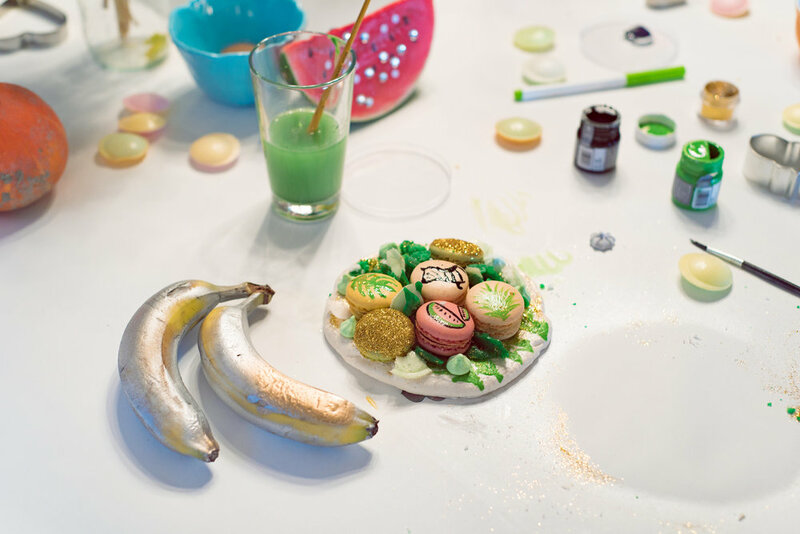 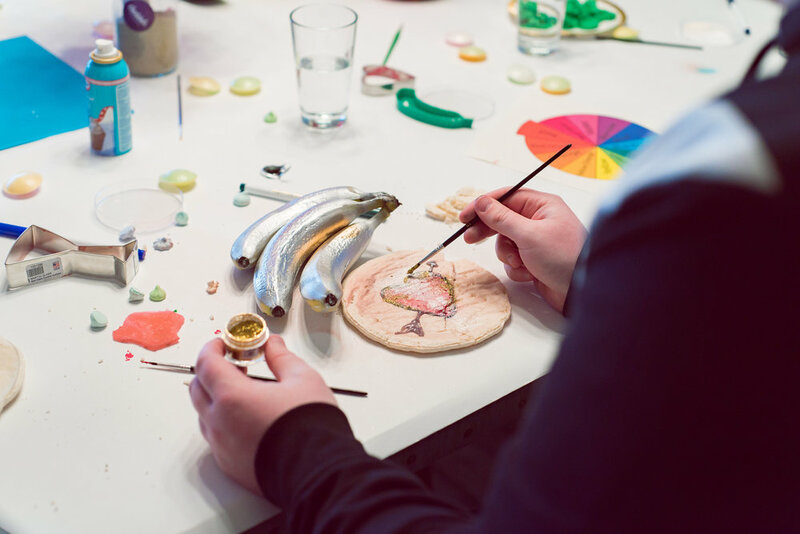 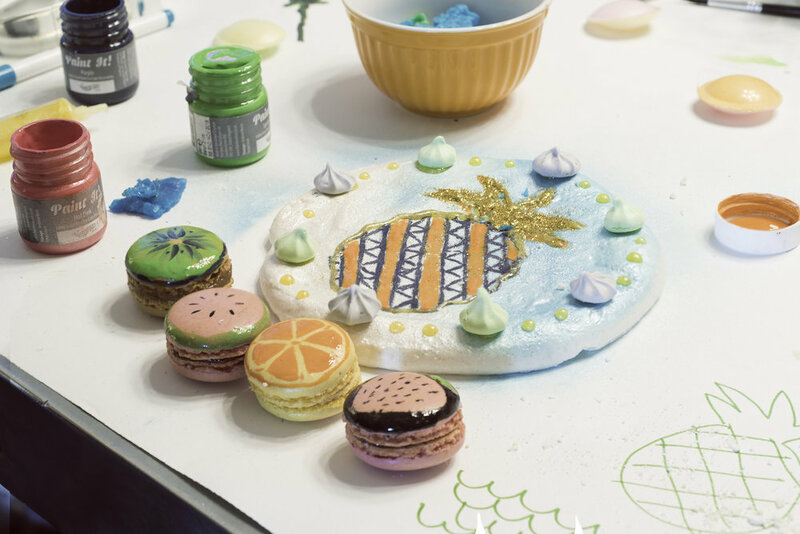 Members pimped up and painted their macaroons with edible paint, vibrant sugar shards, edible glitter and sequins - and designed and decorated their boxed packaging too.